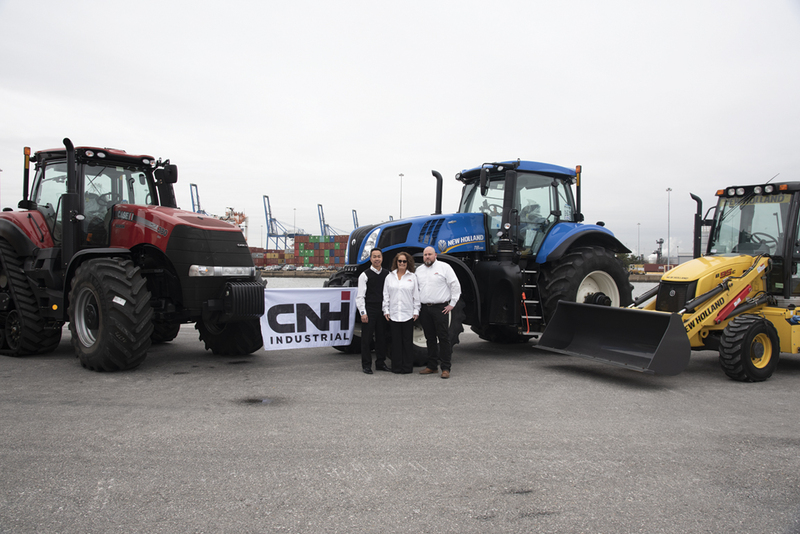 Since 2002, CNH Industrial, one of the world’s leading heavy-equipment manufacturers, has enjoyed a profitable and deepening relationship with the Port of Baltimore and its partners and shipping lines. The future of that relationship appears even brighter. The CNH Industrial Baltimore office is led by (from left) Sanh Nguyen, Donna McDermott and Mike Malkinski. The firm is one of the world’s leading heavy-equipment manufacturers. Initially, CNH Industrial moved about 50,000 roll-on/roll-off vehicles — or 60 percent of its cargo volume — across the Port’s docks. Among CNH’s 12 brands are Case IH farming equipment, CASE Construction Equipment and New Holland Equipment. CNH Industrial has the distinction of being the only manufacturer with its own operation at the Port of Baltimore. Among the partners that help CNH keep its cargo moving, Malkinski cited Ports America Chesapeake, Mid-Atlantic Terminal, Ceres Terminals, Grimaldi Lines, AVI, Amports and Wallenius Wilhelmsen Solutions. The Port’s strengths also include its location and transportation options, Malkinski added. Its proximity to major interstates allows CNH to “maximize our capacity for shipping by truck,” and the CSX and Norfolk Southern railroads move export cargo into Baltimore. CNH Industrial, formerly Case New Holland, is a leading global capital goods company engaged in the design, production, marketing, sale and financing of agricultural and construction equipment, trucks, commercial vehicles, buses and specialty vehicles for firefighting and defense. CNH also manufactures engines, transmissions and axles for those vehicles and engines for marine and power-generation applications. The firm employs 63,000 people in 66 plants and 53 research and development centers worldwide. Its headquarters are in London. The Baltimore office is at 2700 Broening Highway; the regional office is in New Holland, Pa. Focusing on its customers and their needs is a major objective for the world leader in agricultural and construction equipment. “We use customer feedback to help develop company-wide strategies that empower our colleagues on the front lines, those who regularly interact with customers, suppliers and vendors, to make decisions that will meet the customers’ needs faster and more reliably,” Malkinski said. Throughout the firm, sustainability also motivates operations. CNH starts at home by investing in the development of its employees and then investing in the communities in which it operates. “CNH Industrial engages with local communities through many different service programs, including supporting relief efforts following natural disasters, promoting youth education and developing projects to enhance food security and help communities respond to climate change,” Malkinski said. In North America, CNH supports Habitat for Humanity, American Cancer Society, Junior Achievement, Future Farmers of America and Team Rubicon, as well as local philanthropies. At the Port, CNH participates in MDOT MPA’s annual Ro/Ro Rodeo to acquaint longshore men and women with the equipment they will drive on and off ships and operate around the Port. 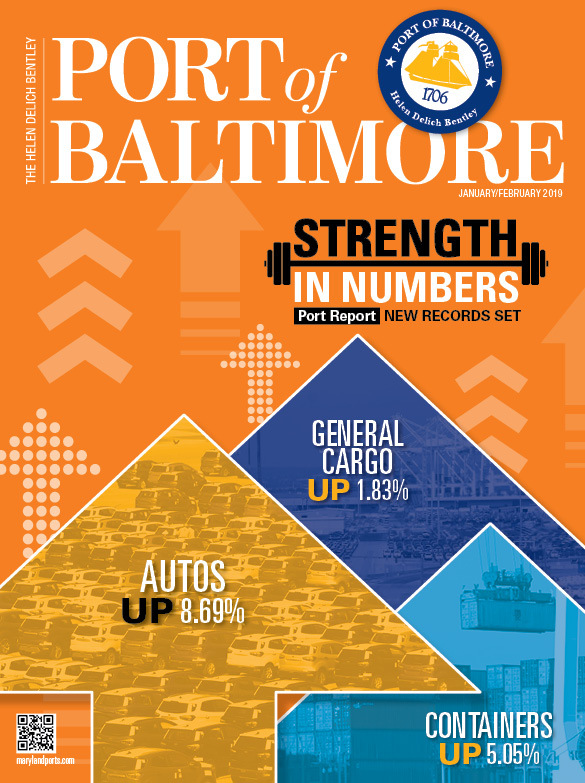 To keep its future in Baltimore looking bright, CNH Industrial keeps its eyes on industry trends. Among them are automation and autonomous vehicles, precision farming, telematics and open connectivity, product service and increased options for alternative fuels, with a commitment to sustainable farming. Employees: 63,000 employees in 180 markets globally; 9,200 in the U.S.